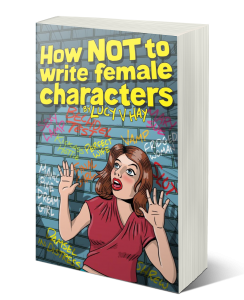 How NOT To Write Female Characters – Grab Your FREE Copy! Grab your free book by signing up below! When fifty per cent of your potential target audience is female, if you’re not writing them in your screenplay or novel? You’re making a BIG mistake! But women in real life are complex, varied and flawed. Knowing where to start in creating three dimensional female characters for your story is extremely difficult. So … perhaps it’s easier to figure out how NOT to write female characters? B2W is on a mission to improve your writing, as well as enable diverse voices and characters to rise to the top of the spec pile.